It's that time of year again, folks! 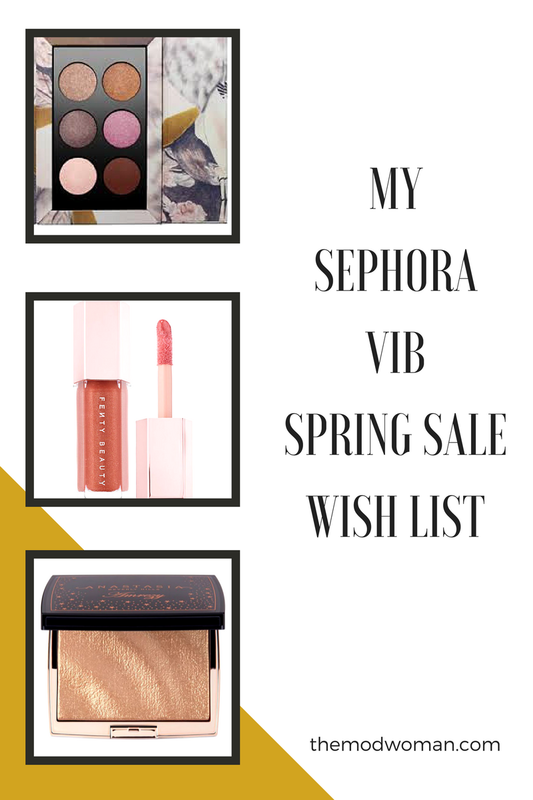 The Sephora VIB sale is upon us. Have you been writing your wish list? Or are you still deciding what you want to get, if anything at all? Check out my wish list below and get the details on when the sale begins and how to maximize your discount! My strategy for the Spring VIB sale is to stick to items that are limited edition and staples that I would be purchasing anyway. The reason for this is simple: The spring VIB discount is not quite as good as the Fall one - which typically runs from 15-20% off depending on your status. So I won't be purchasing a ton this time around. But there are a few items that I have my eye on that I will be picking up. 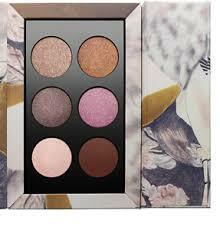 I recently picked up the other two limited edition Pat McGrath Mthrship mini palettes and so far I love them. I was holding out on getting this one so that I could try out the formula and make sure I liked it. It's a big thumbs up so I will grab this one as well. The mini palettes are limited edition, so if you are considering getting them now would be a great time with the discount. Another limited edition item. 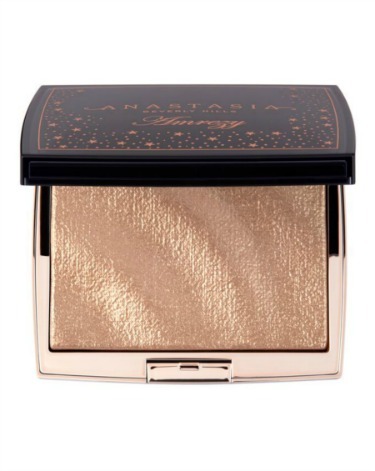 I'm not a huge highlighter person - but my hunt for the perfect non-glittery wet look gold highlight continues. This may be the one... but I'm still on the fence. I have finally succumbed to the lip gloss trend. At least for spring and summer, anyway. I have mentioned this foundation numerous times on the site as it's my "holy grail" foundation. The one I wear on an almost daily basis. I am almost out and since it's a staple I was going to re-purchase anyway I will add it to my cart. Another staple item is the Urban Decay 24/7 Glide-On Lip Pencil in Nighthawk. I generally don't like spending a ton of money on things like lip liners or eye pencils. I honestly don't see the point. But - on a lark I splurged on this two years and it's become my go-to everyday lip pencil. It's the perfect nudey-brown for my skin tone and can be paired with tons of different lip shades. It also lasts me a fairly long time. The last time I picked this up was in June of last year. Not too shabby and when broken down over time isn't actually that expensive. And that's it. Short and sweet. I'm actually quite proud of myself! What will you be picking up during the sale? Let me know in the comments! Apr 6 The False Virtue of Being "Nice"